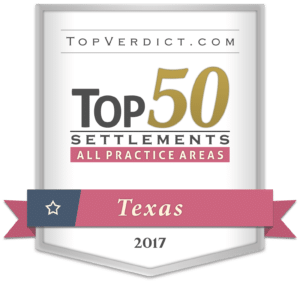 Our Fort Worth Interactive Accident Map Was Featured On NBC News! 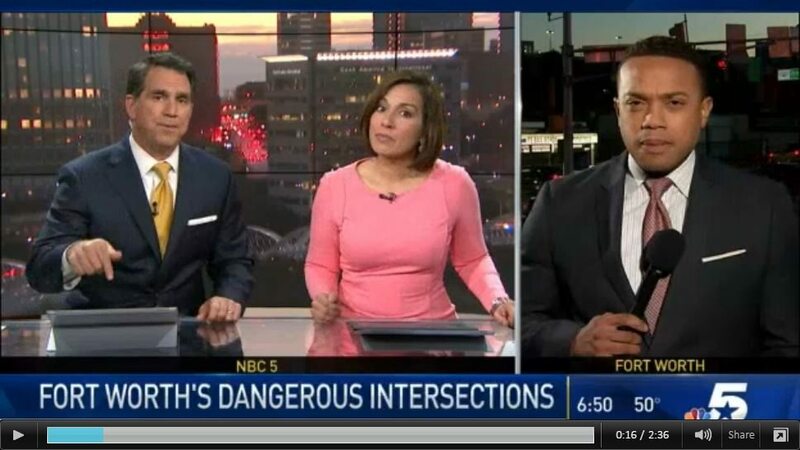 NBC Dallas-Fort Worth recently featured PLG’s interactive accident map that helps drivers identify some of the most dangerous intersections in Fort Worth. Reporter Evan Anderson went live on the air at Henderson and Weatherford Streets, explaining the need for a map like ours. 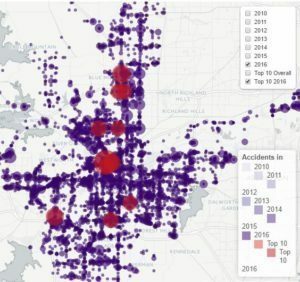 As he shared the map and the 10 most dangerous intersections in the city, news anchors in the studio reminded viewers that there have been more than 40,000 accidents in the last 6 years in DFW. We’re pleased that NBC shares our concern for safety. Their goal and ours is to prevent car accidents at these intersections to keep Fort Worth residents safe. When we created the map to illustrate the traffic trouble spots, we wanted it to be comprehensive in order to emphasize how accidents at particular intersections have been an ongoing issue. Our map is the only one of its kind, focusing on the most dangerous driving areas. However, the intersections—pointed out by the big purple dots—are not new challenges. We hope that illuminating the top 10 hazardous intersections will result in increased driver awareness and caution. PLG will continue to update this map annually, in effort to bring down the number of wrecks in and around our city. We’d love it if these intersections are off our list for next year! 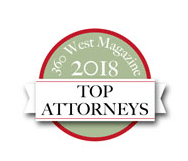 Car accidents in Forth Worth result from a multitude of issues. That being said, distracted driving may be one of the biggest contributing factors. Statistics from April of 2015 show that almost 1 in 5 vehicle accidents in Texas occurred because of a distracted driver. We certainly don’t like the trend we’re seeing in the use of cell phones, even kindles and laptops, while driving. 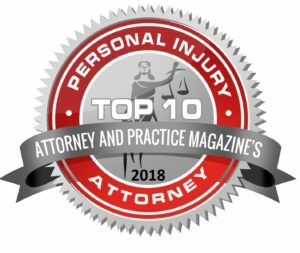 Injury to yourself, someone you love or another Texas resident, is a real possibility when you don’t pay full attention to the road. We hope that our map, plus continued commitment to put an end to distracted driving, will minimize the number of injuries and deaths in our state. 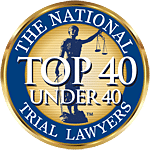 For help with any injury caused by an accident in Texas, fill out the form on this page to get in contact with Patterson Law Group.